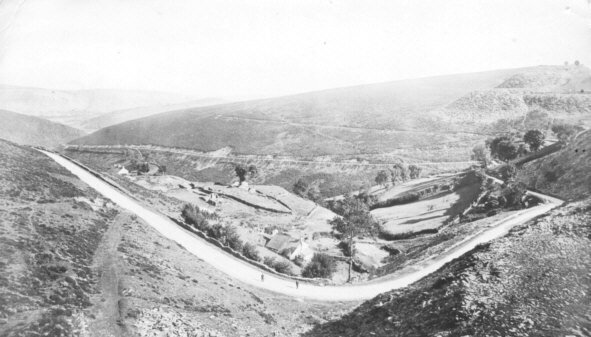 Prior to the A5 construction, the main highway through Llangollen from the south was via Church Street, Chapel Street and Hall Street and then on through Berwyn en route to Ireland. Continuing down Bridge Street instead of turning up Chapel Street would lead to Llangollen Mill and over the Bridge to Llantysilio. Many of the oldest properties in Llangollen are thus found on these streets. Telford’s A5, built in 1815 as the main road from London to Holyhead, substantially reduced travelling times and opened the way for tourism and commerce. Up until the latter part of the 19th century the streets of the town were simply hard packed earth with no drainage at the sides. They were muddy in wet weather and dusty in dry weather as well as being littered with the sewage thrown from the houses. At an inquiry held in 1853 Mr. Charles Richards commented that the highways throughout the parish were badly kept. He suggested that the roads should be under one management and that he should be a paid officer. 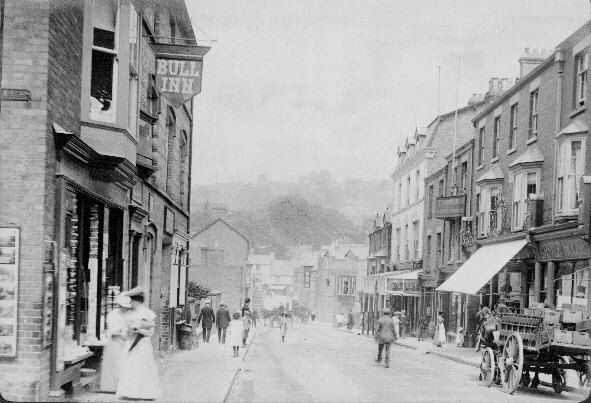 However, in 1870, a letter in the Llangollen advertiser still said 'A lady in a long and big dress and high heeled boots would not be able to cross the bridge or walk throu one of the streets without being rendered unfit to enter a friends drawing room'. However, in 1874 there are reports of boatloads of stone being brought from Trevor Rocks to improve the streets in the town, so improvement was on its way. 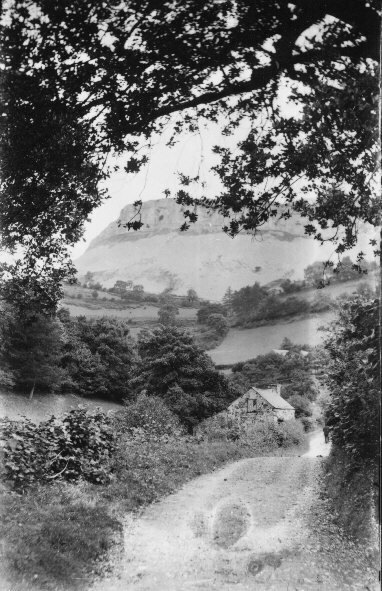 Smaller roads in the countryside remained little more than dirt tracks until well into the 20th century. 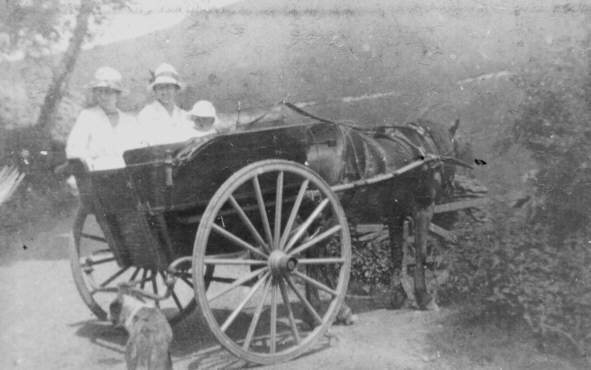 Up until the 1930s many people still used horse and cart for their daily transportation. 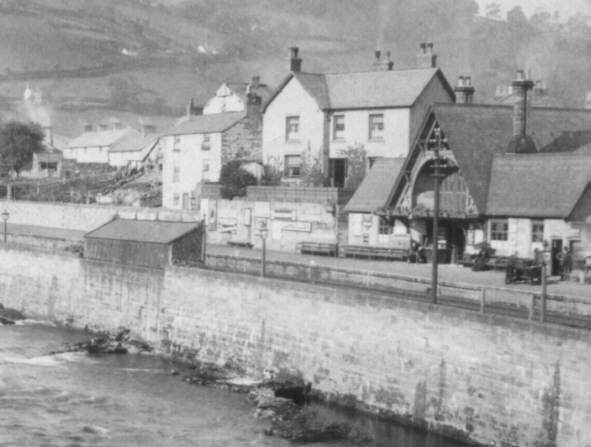 The first passenger train arrived at Llangollen in 1862 but at that time the station was further down the road towards Wrexham (Mill Street) near where the River’s Edge Hotel stands today. Before this, the nearest station was Whitehurst Halt near Froncysyllte (locally known as Y Stesion Tŷ Coch). At that time the major hotels ran a ‘taxi’ service from the station to Llangollen and it was to this station that George Borrow, the author of ‘Wild Wales’ arrived in 1854. There was much argument over the route of the new railway with numerous public meetings and letters of protest appearing in the local newpapers during the 1850s. 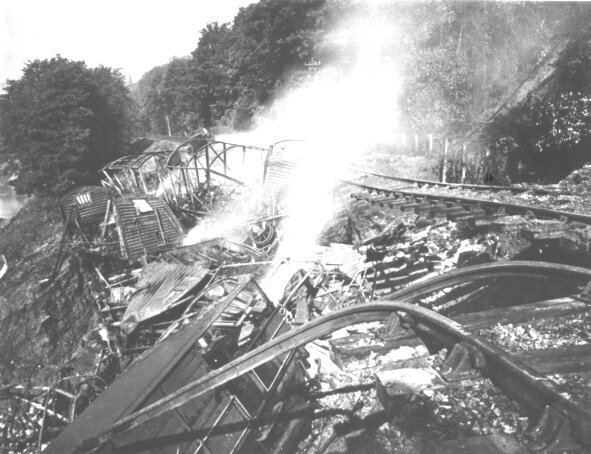 The chief engineer of the Llangollen railway was Henry Robertson, a highly influential local man who also owned a nearby ironworks and no doubt had much to gain. The work took much longer than expected, despite the employment of huge numbers of labourers, who even worked on Sundays, much to the disgust of many people. To be fair they were also effected by a very bad winter of 1860/61 which for a time brought all work to a halt. 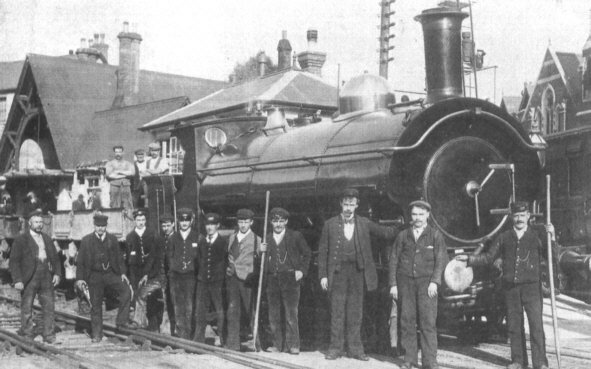 The first goods train arrived in December 1861 and the first passengers on 2nd June 1862. The present station at Llangollen opened in 1865 when the line was extended to Corwen and later as far as Dolgellau. Travelling to the coast at Barmouth became very popular. 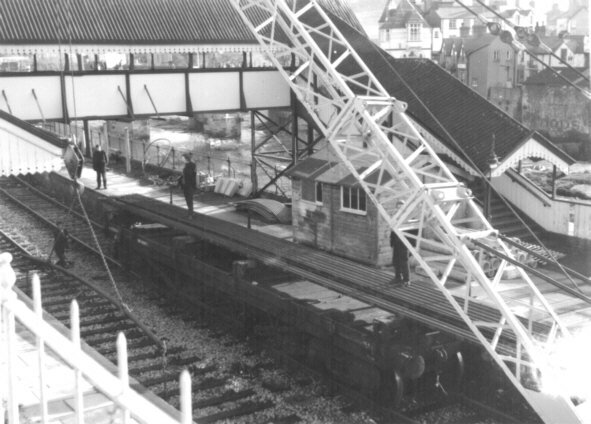 When the railway was extended a new arch had to be built through Llangollen bridge and at the same time a pub called The Trevor Arms was knocked down. This stood were the telephone boxes are today. The railway company later became part of the Great Western Railway Company. 1n 1953 The Queen and Prince Philip arrived in Llangollen by train as part of a tour of Wales. There are still people in Llangollen who remember travelling from Llangollen to London without changing! The line and station closed in 1965 and for years it was left in a terrible state, falling to ruins and full of weeds. The station and the line as far as Carrog, to the west were re-opened by volunteers in the 1970s and continues to operate as a major tourist attraction. 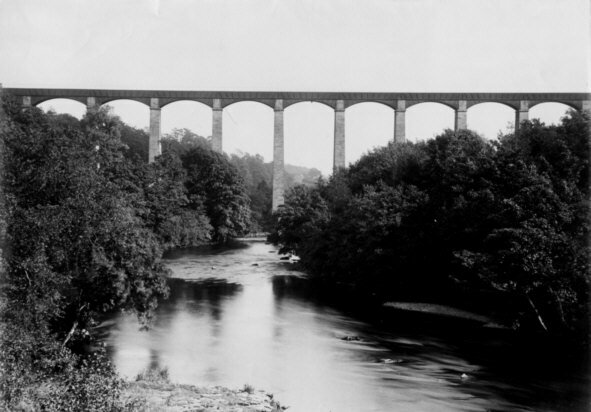 In 1804 the Ellesmere Canal Company obtained powers to construct a navigable feeder from the River Dee at Llantysilio to the end of the Pontcysyllte Aqueduct, then under construction. The Aqueduct was completed by Thomas Telford in 1805 and remains one of the most impressive feats of canal engineering in the world. The canal is carried in a cast iron trough 127 feet above the river on 18 stone piers. 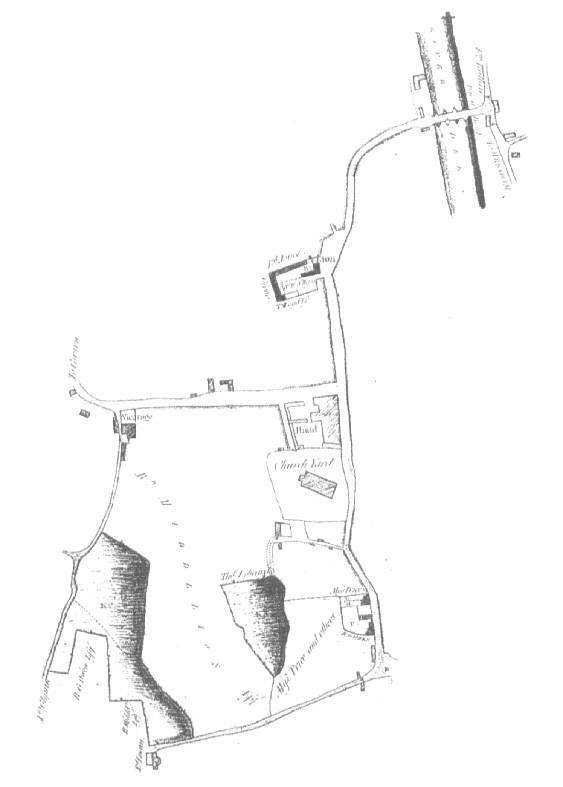 Telford completed the top section of the Llangollen Canal in 1808 and at that time it would have been very busy with goods such as salt and coal coming into the town and slate going out. 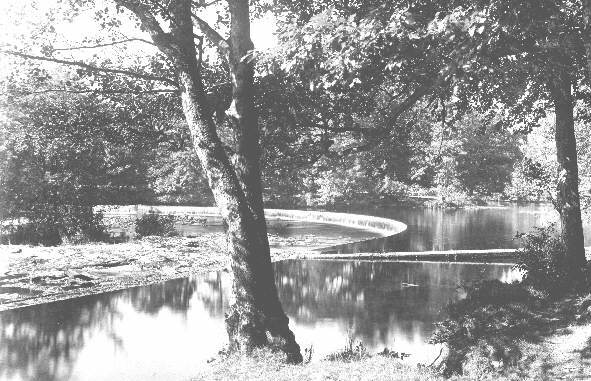 The Horseshoe Falls at the head of the canal were built at this time to provide a minimum head of water for the canal. In 1947 a valve house was constructed to control and measure the 6 million gallons of water that flow into the canal each day. For over 100 years people have enjoyed the calm relaxation of a boat trip on the Llangollen Canal. The horse drawn tourist boats were originated by the heavily bearded Captain Jones who ran trips from Llangollen Wharf to the Horseshoe Falls several times a day.